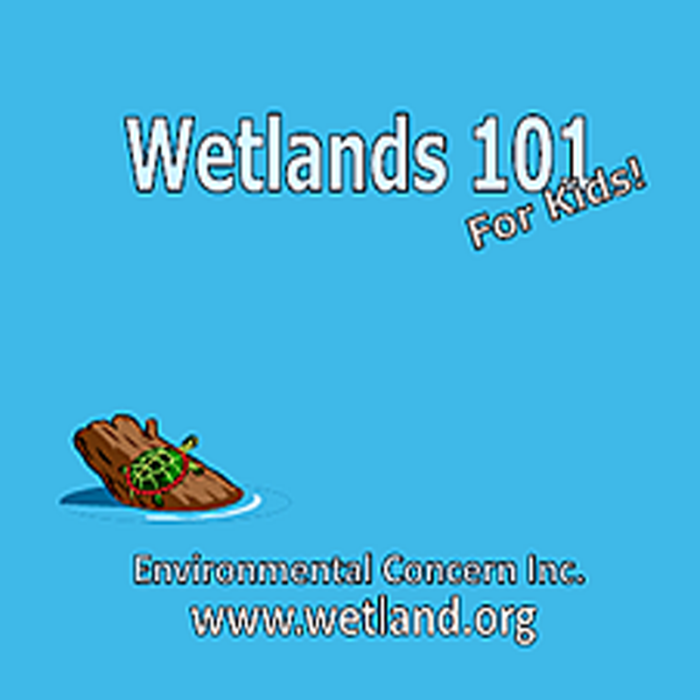 Environmental Concern has been teaching educators and children about wetlands since 1985. We have several publications available to assist educators in their lessons. For orders outside of the US – please call 410-745-9620 Monday through Friday, 8AM to 5PM (EST) or email reception@wetland.org for shipping and handling costs. WOW! 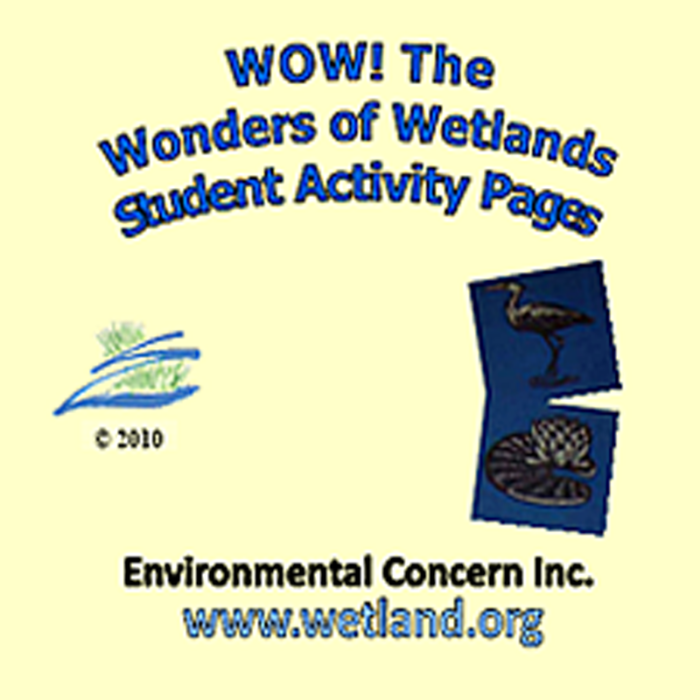 is an acclaimed, comprehensive, interdisciplinary curriculum guide for educators of grade levels K-12 focusing on the three definitive wetland parameters: water, soil and plants. More than 50 fun and effective learning activities for both indoor and outdoor use are included in the 348 page guide. WOW! activities are correlated with the National Science Education Standards. 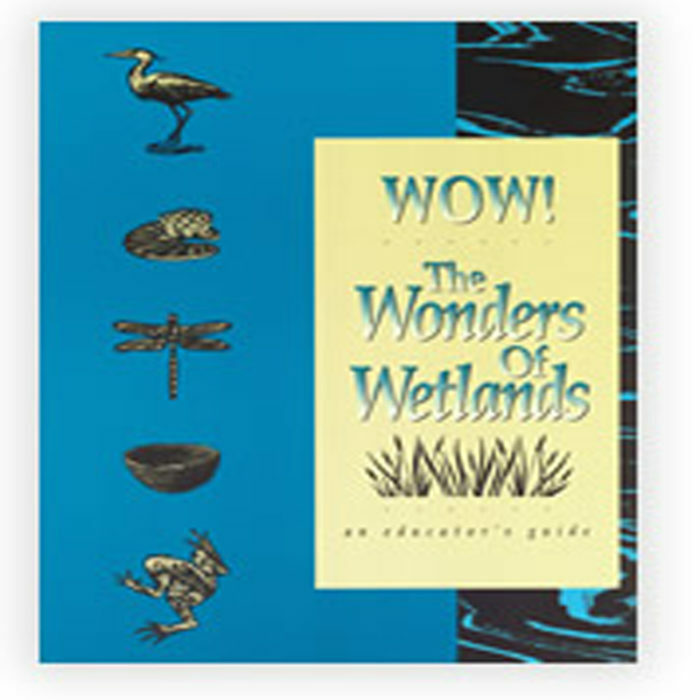 This CD is a great resource for teachers who would like some extra help teaching students about the wonderful world of wetlands. 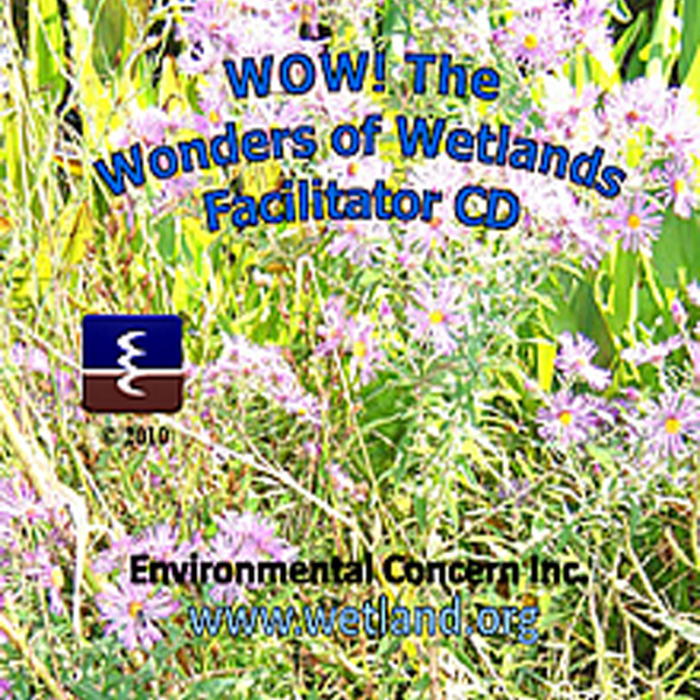 The CD includes a PowerPoint presentation that helps to answer questions like, "What is a Wetland? ", "Why are Wetlands Important?" and many more! Available only to EC trained WOW! facilitators, this CD will save you time with a copy of our workshop presentation and helpful hints to execute a fantastic workshop for your community. Have all of the WOW! Activity Pages available without having to wrestle with copying pages from the book. This CD is filled with digital copies of all the student pages from the WOW! curriculum guide.